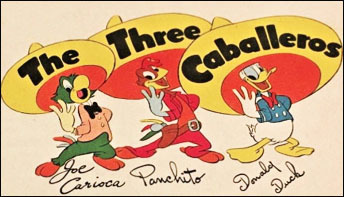 The Brazilian tunes featured in The Three Caballeros were mainly part of Brazil’s “Tin Pan Alley” – published “popular” songs, sometimes taken from revues or other stage presentations. 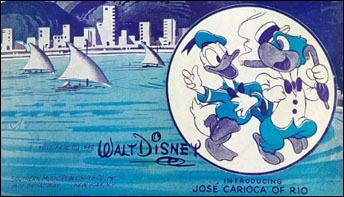 As all Disney-fans know, another song was interpolated into the “Aquarela do Brasil” number in Saludos Amigos. 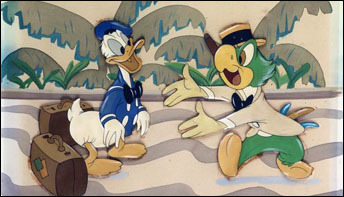 That song was known in Brazil as “Tico-Tico No Fuba”. 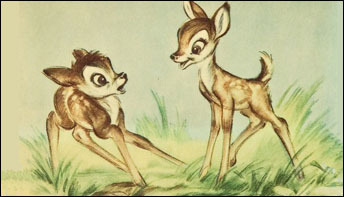 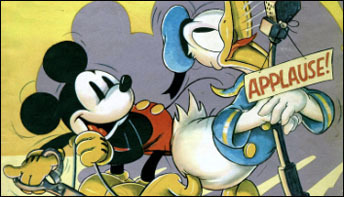 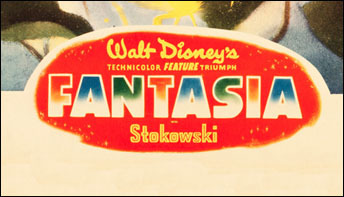 When Walt Disney first heard “Brazil” – the American title for “Aquarela do Brasil” – he knew he he had to have it for his first “Good Neighbor” production. 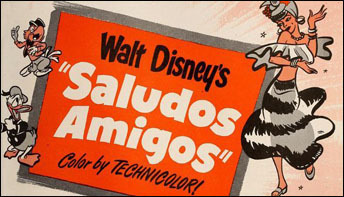 Walt Disney wanted “the whole enchilada” of Mexican culture–both musical and visual. 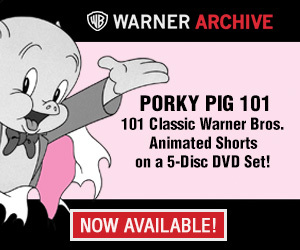 And there is plentiful evidence that he got just what he wanted. 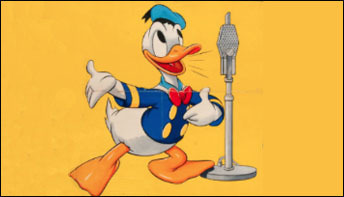 There is much good music trapped within radio transcription discs, but most collectors cannot play them –the humongous discs will just not fit on most folks’ turntables. 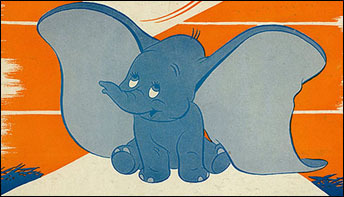 In the 1930s, when it came to disseminating America’s popular songs, there were many ways. 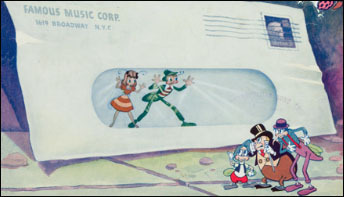 There was sheet music, phonograph records, juke boxes and… radio transcriptions.